African black soap is traditionally made in west Africa, i.e. Ghana. It has one of the highest shea butter contents of any soap. From eliminating blemishes to thinning fine lines, black soap purportedly also offers UV protection. Are you interested in using African black soap? Read on to find out more! What Does African Black Soap Smell Like? Does African Black Soap Expire? Can African Black Soap Irritate Your Skin? 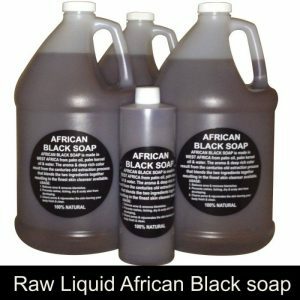 Can African Black Soap Be Used On My Face? African black soap is generally made from locally harvested plants such as shea tree bark, palm tree leaves, cocoa pods, and plantain. The raw materials are usually roasted and sun-dried to attain its deep color. Before it’s left to cure, water and oils such as shea butter, palm, and coconut are added. African black soap is not only used for cleansing your body but is also reputed for healing difficult skin. It is a soap which cleans softly and gives your skin not only a healthy glow. This soap can help even out breakouts, eases eczema, and thins fine lines. It is like a panacea for your skin. This black soap is said to be as effective on dry skin as it is with rashes, oily skin, sensitive skin, and scalp irritations. Alata samina or African black soap is usually made from naturally harvested plants such as cocoa pods, shea tree bark, plantain, and palm tree leaves. These natural ingredients are first dried and then roasted giving it its deep blackish brown color. The soup mixture is then allowed to sit and cured after adding water and oils like palm, coconut, and shea butter. Also called onago soap or ose dud, the original African black soap is pure and are made from secret recipes, though those commercially marketed may contain artificial compounds. African black soap clears blemishes, body odor, eczema, reducing acne, and soothes irritations. This soap also takes care of infections such as psoriasis, contact dermatitis, and plain rashes. 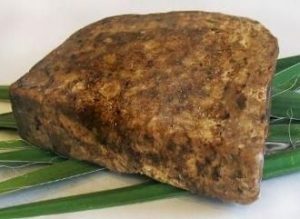 Since water is easily absorbed by African black soap, it is advisable to store it in a zip lock bag and in a dry place. Many African black soap users describe its smell as clean smelling, having mildly sweet candy smell, a faint plaster smell, or no smell at all. Even if there’s any smell, it does not linger and can be easily washed off. The process of making African black soap is an arduous one and needs to be monitored keenly. Care has to be taken that no contamination is done with the making of this soap. The black soap manufactured in Nigeria emits a smoky smell which acts as a turn on for many. It has a natural smell and is quite delicate and soft with an organic form. The natural African black soap contains all natural ingredients and is devoid of any artificial compounds. African black soap does not contain any artificial fragrance but its smell can be aptly described as being earthy. Some African black soap may also be described as having a faint scent of chocolate. This is because of the cocoa pods found in the African black soap. African black soap leaves your skin clear, soft and has a delicious smell. Though African black soap contains no artificial perfumes and is not scented but has an herbal natural smell. This traditional soap has a natural texture and a delicate earthy scent. This soap is not artificially scented but possesses the naturally perfumed scent. Yes, African black soap has properties that help brighten the user’s skin whilst maintaining its natural beauty. It works by removing dead cells on the skin surface and allow vitamin A, E, and other important nutrients in. That’s the whitening effect is achieved. In addition, this soap does not contain any skin irritants whatsoever, which is essential to keep it glowing and looking healthy. African black soap contains natural ingredients which enable your skin to have a silky glow. The ingredients in black soap form a soft leather that cleanses the skin but does not remove essential oils of the skin. The cocoa powder helps in skin exfoliation and in removal of dead skin cells. African black soap deep cleans your skin and lightens your complexion. Black soap provides solution to almost all skin irritations and breakouts. African black soap fights acne, razor bumps, provides relief to eczema, cures rash, and blemishes, thus lightening your skin. One of the main causes of skin pigmentation and darkening is irritation of skin. African black soap provides answer to all such conditions by providing a blemish-less and soft skin. The presence of vitamins A and E fortifies your skin with the required nutrients to lighten your skin. 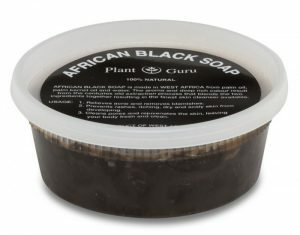 Black soap is also reputed to even out skin tone and dark spots. The kernel oil, iron and extract of shea butter combats fine lines and wrinkles. African black soap helps to prevent aging of skin and offers protection from harmful ultra violet rays. This black soap presents you with a healthier and soft glowing skin. In many cases, this type of soap has no expiration date. Its shelf life is pretty much the lifetime of the bar, i.e. it does not go bad. You should store it properly so that it does not dry out. Remove crumbles or ashy parts from time to time, wet it slightly, and mold it into a shape that you like. In most cases, African black soap is made from the leaves and bark of the banana, plantain and palm trees, the ark of the shea butter tree, and the pods of the coco plant. African black soap consists of lots of oil in addition to glycerin and other items. African black soap has no expiry date because of the natural ingredients. This African black soap is highly concentrated with glycerin which means that the soap being very malleable will dissolve in the water very easily. However, the lifespan of this type of black soap can be extended by wrapping and storing it in a dry, sealed container. It may be wrapped in saran or kept in a ziplock bag. It is ideal to wet only the portion you need at present so that the main soap bar will last longer. It is best to note that the shelf life of African black soap is such that it can be used at any time. Yes, African black soap can help to clear up old acne spots. This is possible as it cleanses the user’s skin without excessively drying the skin. If the skin is too dry, oil and sebum production increases, which may lead to a potential acne breakout. This black soap can tone your skin and improve its texture over time. Your search for a natural solution to acne ends with African black soap. This soap is like a cosmetic ninja because it is unnoticeably very gentle on the skin. Its extreme gentleness makes it ideal to be used even on sensitive and gentle skin. African black soap is mostly handcrafted using time honored secret recipes and is made from a blend of unrefined shea butter, the ash of cocoa pods, coconut oil, and plantain skins. The African black soap is made only from natural ingredients and hence retains the healing elements beneficial to clear acne from your skin. African black soap has natural anti-fungal and anti-bacterial characteristics that gently yet deeply cleanses and purifies your skin. The natural ash in the African black soap assists to gently and naturally exfoliate your skin, cleansing the clogged pores of the excess sebum, debris, and oil, without any over drying. The key to acne cure is not to over dry your skin, because too much drying of your skin may actually trigger production of more sebum and oil. African black soap assists in clearing old acne spots and helps also in toning of the skin and in improvement of its texture. Initial uses of African black soap may see some breakouts which will eventually clear and your skin will boast a soft glow. Natural African black soap can be rough by nature. This means you might irritate your skin or even break it if you are not careful. Some individuals may just be allergic to any soap. If you develop a rash after using black soap, consider discontinuing use. 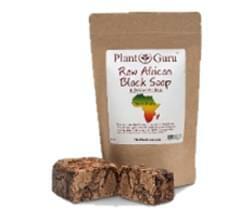 African black soap is made from natural ingredients like plants and barks. It has a natural smell and is quite delicate and soft with an organic form. Since it is not oily, it can be used not only on your face, hands, and hair but also for the purpose of bathing. Use of African black soap daily for a week gives your skin a sheen which is a cynosure to everyone’s eyes. This African black soap consists of plantain, palm tree leaves, shea tree bark and pods of cocoa and the health benefits of all these individuals’ ingredients are instilled in this soap. Use of African black soap should be undertaken only after consulting a doctor and taking medical advice on its use. African black soap has cocoa beans which possesses antioxidant characteristics which help your skin fight against cancer. These antioxidants present in African black soap helps also counter heart problems, memory problems, mood disorders and eye problems. The presence of palm trees in African black soap supports proper development and growth of the physique and is conducive to be used even by children. 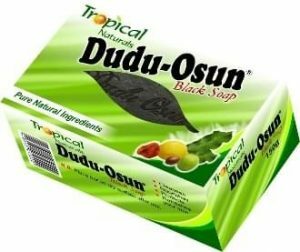 Even sunburns can be removed by African black soap. African black soap provides deep cleansing effects thanks to its exfoliating properties. That’s why it is ideal for people with facial skin dryness or rosacea. When using this type of soap on delicate facial skin, avoid scrubbing too hard. You should always lather up soap in your hands before applying on the face. 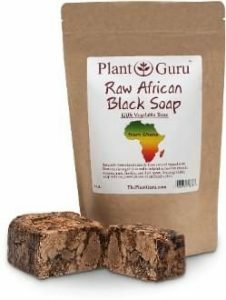 African black soap does not contain any harsh chemicals, but it is the ash from the plantain skins that turns the oils into soap. This black soap penetrates your skin and removes impurities. African black soap does not remove acne, but it prevents the growth of bacteria and excessive production of oil which causes acne. This black soap is best used for acne prone skin and constant use leaves your skin smooth and devoid of any blemish. African black soap achieves great success when you dilute it with ceramides or oils and is conducive to be used even on your face. Washing your face with African black soap mixed with hyaluronic acid and ceramides helps to retain moisture in your skin. Washing your face with African black soap gives you a smooth skin that is like using a clarisonic brush or a microdermabrasion. After washing your face, you need to use a soft cloth to clean your face. Though African black soap is not the panacea for face wash, it is one of the main reasons why your face will have a glowing complexion. The natural fats from the palm and coconut oils found in the African black soap help to relieve itchy, dry, and tight skin and the vitamins and iron help in the promotion of a healthy and well moisturized face.